Please go to www.simplygourmetlunches.com to start placing your orders. You can now order your child’s lunches Bi-Monthly. Simply Gourmet is a full-service catering company specializing in school lunch programs. They are committed to providing students with delicious, healthy and nutritious foods they find appealing. Simply Gourmet will be providing their services on Mondays and Fridays this school year. They provide quality products with many specialty food groups offered: Organic, Gluten-Free, and Vegetarian. Products are completely free of nut ingredients. Variety of entree choices offered on hot lunch days and they are completely customizable to your child’s liking. 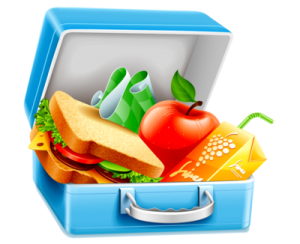 ** If your child will be absent on the day we have Hot Lunch, please call Simply Gourmet (973) 891-1955 by 9:00am to cancel the order and receive a credit to be used on another day. If not, you must pickup your child’s lunch by 12:30pm, no later. Please contact us at info@northendfsa.com if you have any questions.